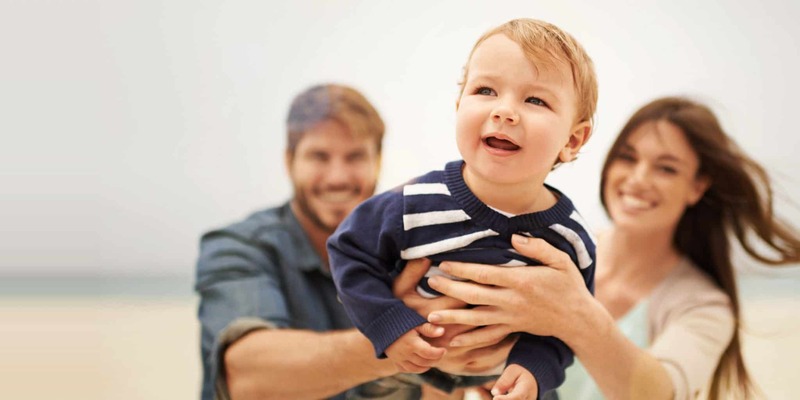 With Vita 34, parents-to-be can donate stem cells to the public and set up a stem cell deposit for their own child’s future at the same time. 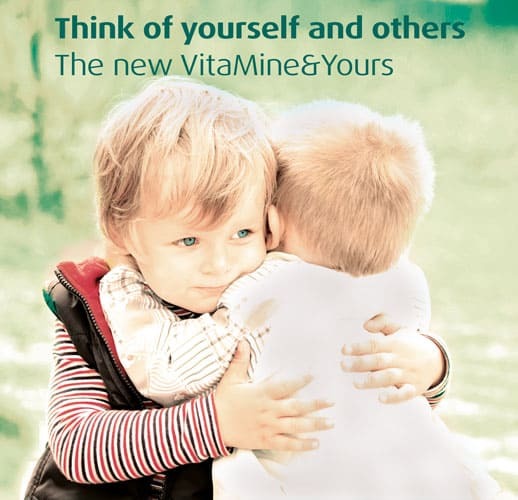 With the new product VitaMine&Yours, the com-pany is the first stem cell bank to offer the possibility of combining both – the safety of indi-vidual healthcare precaution and the wonderful feeling of doing good to others. With the new product VitaMine&Yours, the umbilical cord of a newborn does become not only one, but two fully-fledged stem cell deposits. 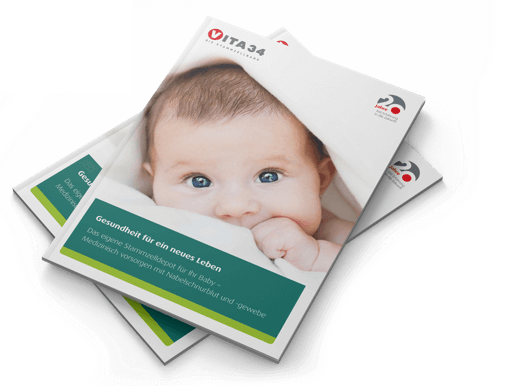 On the basis of intensive cooperation with 95 percent of the German birthing institutions and many years of experience in the manufacture of top-quality stem cell deposits, Vita 34 AG optimized the quality of the preparations so that umbilical cord blood collected at birth – if the quantity is sufficient – can be divided into two deposits, one personal for the child and a second one for public donation. Vita 34 thus shows great commitment: Besides individual healthcare, it is the first private stem cell bank to contribute to the collective good. Vita 34 regards it as a social responsibility to facilitate the widespread provision of stem cells. For almost twenty years, the company has been promoting progress and the application of stem cells by conducting research and is most experienced in the medical application of umbilical cord blood and tissue in Germany. With the new product VitaMine&Yours, the company from Leipzig contributes to more people benefitting from medical progress and the great medical potential of stem cells from the umbilical cord. In contrast to the proven product VitaPlusDonation, where the entire private stem cell deposit can be released for public donation in case of need, with the new VitaMine&Yours, the private deposit for the child remains available for future personal treatment options. Parents can thus choose between two products for donation. Vita 34 assumes in both cases the additional costs arising for the provision of the donation. Compared to the pure donation to the public, donation combined with a personal stem cell deposit yields another advantage: While public donations are applied only for hematopoietic diseases, i.e. dysfunctions of the blood-forming system, the possible applications in individual healthcare are much more varied. The regenerative medicine for instance conducts intensive research in the field of replacement of skin, cartilage, bone, or whole organs. The great potential of stem cells from the umbilical cord for personal application will therefore be utilized even better in modern, personalized medicine. With VitaMine&Yours, the stem cells will be available to the child for life and for a targeted individual healthcare. Vita 34 AG domiciled in Leipzig is the largest and most experienced stem cell bank in the German-speaking countries. The company founded in 1997 specializes in the storage of stem cells from umbilical cord blood and tissue for preventive medical care and the manufacture of stem cell transplants from umbilical cord blood. Currently, they store umbilical cord blood and tissue of more than 145,000 children from Germany and other European and extra-European countries. Vita 34 has proved the top quality of the previously cryo-preserved and stored stem cell preparations impressively by means of 30 applications already.